This eighth volume in the Wolverhampton Military Studies series is based on Simon Peaple’s thesis, and as you would therefore expect has a certain academic rigour to it. Rather than talking about the composition of the division or where and how it was recruited, Peaple launches straight in to an evaluation of how well trained the division was on its deployment to France. An indication of how quickly troops became adjusted (or were expected to become adjusted) to the routine of trench warfare is given by the fact that after just a few months overseas the men were training other new troops fresh from the UK. The division’s first taste of offensive action was as part of the Loos campaign, in the attack on the notorious Hohenzollern Redoubt on 13th October 1915. Peaple has scoured the battalion, brigade, and divisional records and found evidence that the division was already learning lessons from more experienced troops and the recent action at Loos. Much of the chapter focuses on the preparation for the attack and the plan laid out by the GOC the division, Montagu-Stuart-Wortley. After the attack failed the division, and Montagu-Stuart-Wortley, came under a great deal of criticism for not making further progress. This appears to be largely based on the comments of one officer, who reported that the men did not attempt to move forward until one hour after the preparatory gas attack finished. Haig picked up on this comment, however the one hour gap was part of the plan for the attack. Peaple argues that the criticism was political (linked to the relationship between French, Haig, and Haking) rather than based on valid criticisms of the division’s performance. After a brief hiatus from the western front, when the division was ordered to Egypt (cancelled when it arrived), it returned to France and was given the task of carrying out the diversionary attack at Gommecourt on 1st July 1916. This venture would lead to a court of inquiry into the conduct of Montagu-Stuart-Wortley. Peaple conducts an in-depth assessment of the preparation for and conduct of the attack, and puts forward a compelling case that, whilst Montagu-Stuart-Wortley cannot entirely be exonerated for the failure of the attack, his ‘degumming’ was largely due to political and personal motivation. The division saw action again in 1917 in the urban warfare around Lens. Again senior commanders were critical about the performance of the division. However, Peaple puts forward the case that it had progressed along the ‘learning curve’, integrating a variety of weapons into the attack, and learned valuable lessons about the difficulties of attacking across an urban landscape in the dark. The division was then not used in an assault capacity for another 18 months, when it participated in the successful breakthrough of the Hindenburg Line – the famous picture of troops lining the bank of the St. Quentin canal show men from 137th Brigade, part of the division. In conclusion, Peaple convincingly argues that the division was not seen as an ‘assaulting’ division, however progress along the ‘learning curve’ mirrored that of the British Army, albeit with a few difficulties. Overall this is a concise and interesting account. Peaple does not get bogged down in the minutiae of the individual battalions’ movements (and as such differs from a more traditional account) but focuses on the bigger picture and conducts a balanced analysis of the division’s performance. 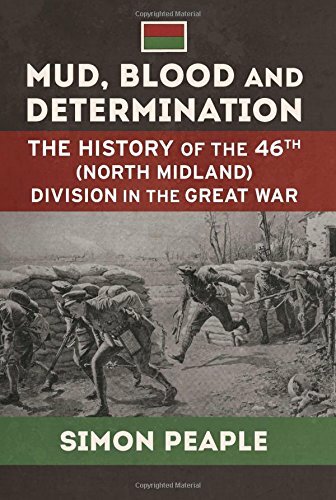 Just as importantly, this work fills a gap in the number of available divisional histories.